Foresee’s special role within the project’s aim will be to focus on the potential of alternative methods of solving disputes in community-related conflicts (such as Roma-non-Roma conflicts) and in the crime prevention and criminal justice field (based on the restorative justice approach). The aim of the project is to gain insight into the present state and perspectives of alternative extrajudicial methods of dispute resolution which, unfortunately, are not yet as well known and used by the general public as they could be. The disputes arising from day to day situations and relations among family members, neighbours, colleagues, patients and health-care professionals and others are, in the vast majority, resolved on the basis on the authoritative decision of a judge or on the basis of the power and predominance of one of the parties involved in the conflict. They are not resolved by means of appropriate communication in an amicable way. Through sharing their national experience about alternative methods of conflict resolution the partners will elaborate the methodology and address the general public (including state authorities) about adopting and using these methods as a cultural model, and promote them as a challenge for social andragogy and lifelong learning in the 21st century. In 2008 the European Parliament and Council adopted a Directive (Nr. 2008/52/EC) on certain aspects of mediation in civil and commercial matters. This Directive takes into account the principles, and seeks to promote the fundamental rights recognized in particular by the Charter of Fundamental Rights of the European Union. One of these principles is the principle of access to justice. With a view to facilitating better access to justice, the European Council called for alternative, extra-judicial procedures and in particular the availability of mediation services to be created by member states in order to establish an area of freedom, security and justice. 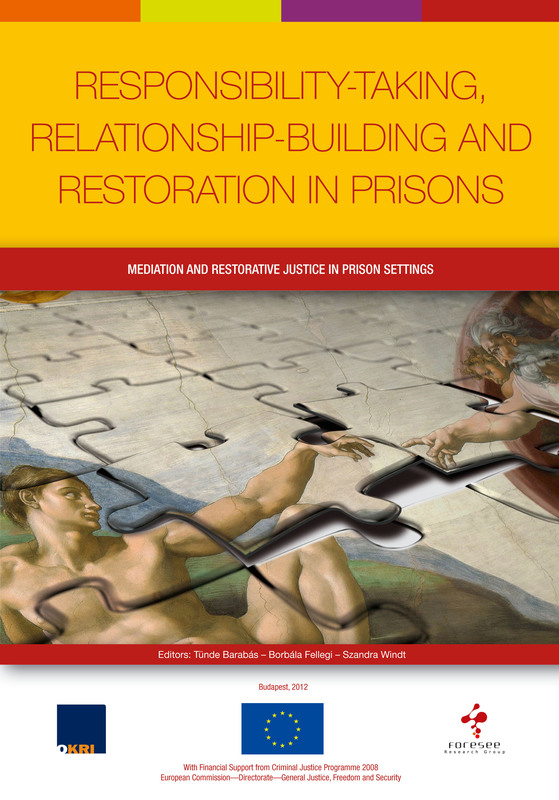 Although mediation and other alternative extra-judicial methods of resolving disputes such as collaborative practice, restoration, or alternative advocacy are known among professionals, to the general public these are almost unknown particularly in Central and Eastern-European countries. Nor has the relevant national legislation been adopted as yet to facilitate the use of these methods in some states (e.g. Czech Republic). The international conference “The Way to Justice or Dispute Resolution in the 21st Century” held in October 2010 in the Czech Republic revealed the large potential of alternative dispute resolution (ADR). Dispute resolution is neither “either or” nor “black or white”. The growing complexity of the world we live in leads to an increase in conflicts and disputes. Conflicts always have a jurisdictional and an emotional side. When a conflict is settled by the court the emotional side remains unhealed. One party to a dispute wins whilst the other loses. The communication between them has stopped. Acrimonious emotions remain between the parties and moreover one party could feel injustice. 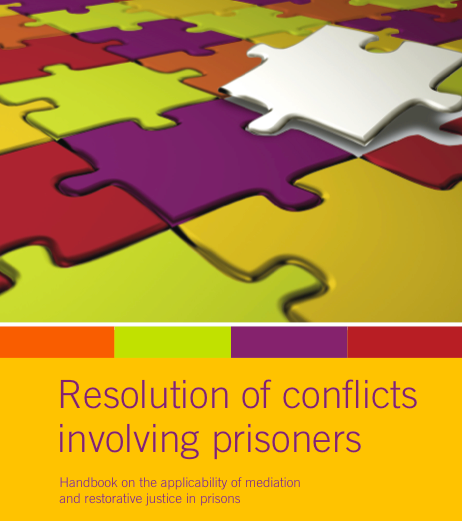 Mediation and other ADR methods on the other hand have the potential not only to resolve the conflict but to heal the emotional damage of the conflict also. The result of the ADR procedure is justice and better emotions. At the same time the potential of ADR methods are beneficial to the judicial system (namely in Central and East-European countries) where judges are overworked and have to resolve a number of marginal disputes. Parties in disputes are waiting a long time for final court decisions. Wider use of mediation and other ADR methods will naturally lead to the creation of new enquiries for professional mediators. This kind of job, based on special communication skills and certain life knowledge and experience - whether already acquired or gained through adult learning - is most appropriate for men and women aged over 50. The partners of the project will study different ADR methods existing in their countries and will elaborate the scenario and methodology on promoting these methods to the general public. The results of the projects such as good practice material collected from partners´ countries, shared experience, educational brochure on communication and ADR will improve the quality of adult education and support the trainees with new knowledge on communication skills and abilities. The dissemination procedures of the project products and results will involve wide group of society in life-long learning process. The project will promote social environment and good neighbourhood in Europe as well as it will provide a great possibility for Eastern and Western countries as younger and older democracies to mutually learn from each other and meanwhile elaborate the European dimensions of peaceful conflict resolution methods on micro (interpersonal), meso (community) and macro (social) level. Participation of geographically widely located and different kind of institutions will support partnership with cognition of different cultures and methods of learning and will let the project products be widely spreaded. the lack of good communication between people resulting in disputes, conflicts, animosity and xenophobia. 2) Long term objective of creating new types of jobs and skills especially appropriate to adults of 50 years and above by involving this social group in life-long learning process. 3) To improve methods and pedagogical approaches towards adult education on communication skills and abilities through the exchange of good ideas and innovations used by partner’s organizations. 4) To improve the language skills of the project participants and broadening of the horizons of European cultural heritage. To achieve these each project partner will present the situation in his/her country. By means of individual knowledge and consultation with relevant professionals, the partners together will elaborate the generally usable methodology to improve pedagogical approaches and develop PR strategy in promoting different ADR methods. Since experiences in each country differ advanced EU countries’ experiences must be taken into account, and good practice cases will be presented. Participation of English partner will give other participants the possibility to improve their English knowledge. It has to be said that ADR methods are more widely used and known about in Western Europe than in Central and Eastern Europe. 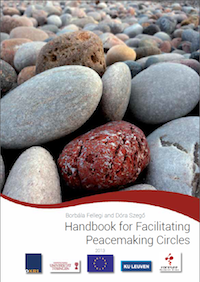 The possibility to cooperate on EU level offers a unique opportunity to share different experiences from different cultures and behaviors of citizens when dealing with conflict situations. Mutual understanding of slightly different approaches and attitudes will help to strengthen European identity and citizenship. Mutual transnational cooperation will have the potential to reach the best up-to-date results. The aim of the project - to promote ADR methods - should be more effective than doing the same on the national level. The above mentioned EU Directive on certain aspects of mediation in civil and commercial matters obliges member state to use (obligatory) mediation in cross-border disputes. The use of mediation in domestic disputes is compulsory in individual EU states but is only recommended by EU legislation. This project aims to support this recommendation in order to improve social environments in Europe. By balancing differences existing in the field of approaching and solving disputes the project also aims to assist in the integration of European states as far as the matter is concerned. Participants in the project will learn a lot of professional information regardless of their role in the project. Moreover they will improve their communication skills – meaning the skill of using several communication techniques and at the same time the ability to communicate in a foreign language. This will lead to improvements in their professional life. As human beings cannot live without communication the improvement of a participant’s own communication skills may also improve his or her personal life as well. Through this project participating institutions will enter into the network of cooperating partners and receive information about the services which other partners’ organizations are providing to the public in the field of life-long learning education; how they are promoting their educational programmes; what kind of services and information concerning ADR they communicate with the public; and how they cooperate with state authorities and judicial bodies. The international experiences will then help a partner organization to introduce the same practices into the relationships at a national level. The participants will also be acquainted through their own experience with the European cultural heritage. The European Institute for Reconciliation, Mediation and Arbitration (ESI) is a public benefit corporation. Its primary aim is to promote the idea of mutual understanding and international collaboration in human rights; particularly the effective access to justice for vulnerable groups of inhabitants (e.g. single mothers, seniors, consumers). For this general purpose ESI provides legal assistance and psychological aid in conflict and difficult situations, and through mediation, conciliation, collaborative practice and other extra-judicial dispute resolutions. ESI is a training centre providing further education for lawyers, judges, social workers, psychologists and other specialists. ESI organizes seminars and workshops and publishes literature about the prevention of conflicts and alternative dispute resolutions (ADR). Through international contacts ESI aims to widen the idea of solving disputes between parties through their own potential with the help of trained specialists. The coordinating organization shall take the responsibility to be a liaison body for other project partners. It will communicate responsively and constantly with the project partners, participate in all international meetings and accept the role to be first among equals as far as the organizational and evaluation procedures of the project are concerned. As a project partner it shall organize the meeting of partners in its own country, fulfill the agreed tasks and obligations towards project partners and the National Agency, and disseminate project results to the Union of Judges and other non-governmental organizations, to the Ministry of Justice, Ministry of Labour and Social Work, to the general public, municipalities and the local community. Special attention shall be dedicated to addressing family members and preventing family disputes. Foresee Research Group is an interdisciplinary think tank of young social scientists. 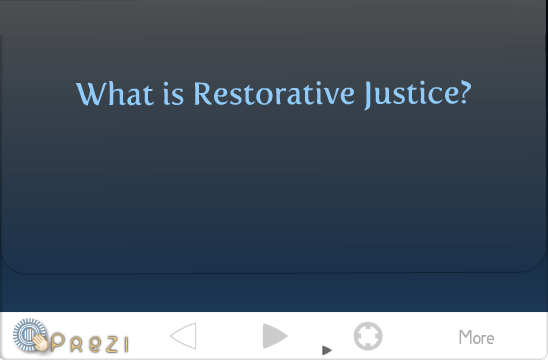 Its research and project activities focus on promoting the principles of alternative dispute resolution (mediation, restorative justice, conferencing and other methods), and helping the integration of marginalized groups into society. With its conflict resolution service, training, program development, advisory, research and network building, it wishes to contribute to the prevention and reduction of social inequalities. In addition, the partner aims to spread the view and methodology of alternative techniques of conflict management and conflict resolution, to improve the objective survey of forms and measures of social exclusion, to aid the reduction and prevention of prejudices arising in society and to facilitate integration and equal opportunities for social groups in marginalized or challenging situations. The interdisciplinary network of partner’s consultants (as “in-house consultants”) represent several fields of science (sociology, criminology, social policy, social work, law, political sciences, economics, psychology, information technology and communication) and specialties (children and youth protection, victim support, minority protection, educational policy, conflict resolution, organizational and community development, democracy development, crime prevention). Our faculty provides scientific and theological formation of the candidates for priesthood as well as of those who are preparing to serve in various church and social ministries. In this regard the faculty offers academic education in accredited study programs in all three academic degrees (bachelor, master and PhD). Among other study programs, our faculty offers also the study program of Probation and mediation work. We are aware that building a culture of effective conflict resolution is a universal challenge that touches also Slovakia. We are interested in development of above mentioned study program as well as in participating in preparing various awareness activities addressed to general public. Our faculty is located in the East of Slovakia, where many people declare to be Christian believers. However, because of misunderstanding of some religious values, there is a general tendency to avoid participation in alternative proceses of dispute resolution. Our special role within the project aim will be to focus on the potential of alternative dispute resolutions within Christian communities. The Italian Institute of Collaborative Law (IICL) promotes a respectful resolution of family matters based on the participation of lawyers and experts, alongside the parties, in the process of reaching an out of court settlement. The principal aim of collaborative law is to reduce the harm to children involved in parental litigation. Contrary to what happens in family mediation, the role of lawyers is crucial here: shielding and reassuring those couples by which the emotions are still too strong to start a mediation. Reopening the channels of communication between the parents is a consequence of our ADR proceedings although its main priority remain keeping children away from the battleground. Our motto is: “Resolving Disputes Respectfully” and: “No Court, No Casualties”. In our first year ninety seven professionals have adhered to IICL. The expertise of Association is backed-up by numerous years of experience in the field of defending civil, social, and economic rights, forming knowledge-based society, contributing to the social integration of individuals based on innovative methods and the principles of equal opportunities. In pursuit of its goals Association closely collaborates with local governmental bodies, non-secular communities, Lithuanian and international organizations and social partners. Association has established highly developed and sophisticated network for spreading ideas and products that greatly assist in achieving a range of long-time and short-time objectives in the field of educational work aimed at various social groups. The efforts are also often projected at tackling the issues of ageing society by helping persons to discover new forms activities, ways of expressing oneself at older age and transferring the knowledge and experience through the voluntary work to the rest of society thus preventing elderly people from becoming passive recipients of welfare and also their lifetime experience from being wasted at relatively early age. As a project partner it obliges to constructively participate in all upcoming international meetings and other communicative events to contribute to consortium efforts to achieve goals stated in this proposal and helping to timely assess the progress of actions and methods. Photos of the closing workshop in Budapest can be seen here. The publication, entitled "Resolving Disputes in the 21 Century", written within the framework of the project can be downloaded from here. The English brochure on the state of alternative dispute resolution system in the Czech Republic, Slovakia, Lithuania, Italy and Hungary can be downloaded from here. The Hungarian brochure on the state of alternative dispute resolution system in the Czech Republic, Slovakia, Lithuania, Italy and Hungary can be downloaded from here. Our 10 minutes promotional film made by the project's Italian partner on alternative dispute resolution can be found here. The website of the project can be found here.